Here, we’ll answer both those questions by presenting a list of the top free alternatives to QuickBooks for small business accounting. As with any free software, there can be certain drawbacks. These usually manifest as ad-supported content, freemium caps on functionality and storage, and complex deployment/installation procedures (as is sometimes the case with open source software). So with these caveats in mind, explore the following solutions that will help you save money, while managing your money. Wave is a full-featured, fully free cloud accounting solution that’s been profiled by The New York Times, PC Mag and Inc., among others. The software delivers a solid set of features geared toward small and SOHO businesses. It includes double-entry bookkeeping (with GL, AR, AP, sales tax reporting, etc. ), payroll integration, credit card/bank accounting syncing, and personal finance functionality. Wave prides itself on offering a truly free product, not a restricted “freemium” solution. It does this through ad support, which isn’t a wholly negative thing, as the ads often come in the form of special offers for users. 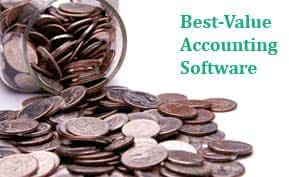 Another Web-based accounting solution for small businesses, Outright offers users a totally free account with no monthly fees, credit card information required, trial, or expiration dates. Outright supports this free version by making money on its Outright Plus product, which for $9.95/month includes expanded features such as sales tax tracking and reporting. With Outright you can add bank accounts to reduce data entry, view your data graphically and automatically categorize expenses for tax purposes. This award-winning open source ERP software is free of charge for a basic download. The PostBooks accounting module includes general ledger, accounts receivable and payable, bank reconciliation, financial reporting, and more. It runs on Windows, Linux, Mac, and mobile, and is fully international, with support for multiple currencies, tax structures, and language translation packs. xTuple offers a PostBooks guide that walks users through the process of installing and getting started with the software. Though not overly complicated, users who doubt their level of tech savvy can purchase a commercial license to receive unlimited online customer support. With millions of downloads, a history that dates back to 1997, and a solid set of finance and small business accounting features, GnuCash is one of the top players in the free accounting software space. The software is freely licensed under GNU GPL and available for Linux, BDS, Solaris, Mac, and Windows operating systems. Easy and intuitive to use, GnuCash enables small businesses to track bank accounts, stocks, income, and expenses. 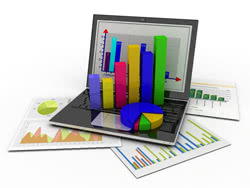 Through double-entry bookkeeping and a checkbook-style register, users can ensure balanced books and accurate reports. But being open source, users should expect a low level of customer support, and a higher degree of technical complexity than with a traditional product.